In early February of 2018, Nuance® released an important update to their Dragon® Individual 15 software. Version 15.3 resolves issues that we’ve seen affecting legal and business professionals for months, including application freezing and crashing in Microsoft® Office. If you’re ready to download and install the Individual v15.3 update, you can get everything you need directly from the Nuance website. What Does Dragon Individual 15.3 Fix? While the updates to Office functionality seem to be the most significant, let’s take a look at all of the fixes included in this update. When dictating into Outlook and Word, the Dragon program shouldn’t delay or cause these applications to freeze/crash. It should work consistently in them, with full functionality. “Runtime error R6025 – pure virtual function call” won’t pop up in Word 2010 anymore. All voice commands now function properly after adding a signature or picture in Outlook. Your cursor won’t jump around anymore as you dictate into Word documents or emails, and the Dragon dictation app won’t jump to another program. The Outlook Reading Pane doesn’t crash anymore when replying to an email. Scrolling and paging commands now work correctly. There’s a new Firefox plug-in for Dragon Naturally Speaking, which should add a lot of dictation and correction functionality for basic text fields. Open Firefox after installing this update to make sure you get the extension. For more detailed information, check out the version 15.3 release notes. Need Help With This Update? 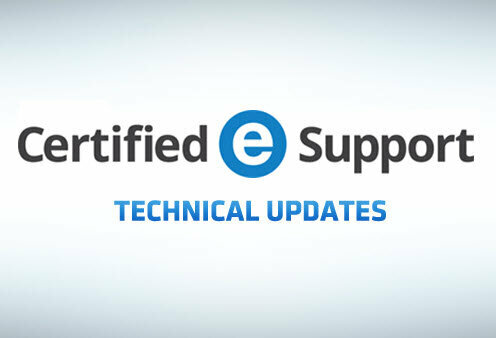 If you need a certified technician to update Dragon Legal or Professional for you, or you have a support issue we can help resolve, click the button and become one of our Support Me members.